The cycling mishaps of Baldcyclist...: Even if it is never used, I say build it. Built it like Livingston! Even if it is never used, I say build it. Built it like Livingston! There has been a lot of debate over the merits of segregated / shared use / on road cycle lane provision over the years. Those debates will probably continue for years to come. I have to admit that until now those debates have largely passed me by. The main reason being I always thought, what's the problem? You see, for 40 years I lived in Livingston, and only ever worked in Edinburgh. I now live in Fife, and I realise the rest of the world isn't the cycling utopia I grew up to believe was the norm. I don't aim to take an 'academic' approach to investigating the merits of the shared use infrastructure in Livingston, others have done so regarding other English New Towns such as Stevenage (Joe Dunkley, Carlton Reid etc). I will (eventually ;-) ) offer some opinion as to why cycling hasn't taken off in Livingston, but mainly this blog will offer a practical observation of the infrastructure based on 40 years of living with, and using it, it is also complemented by a recent visit to Livingston to see if the infrastructure was all that I remembered. Livingston was built for cars right? Yes, but actually, really, no! Before I get onto the shared use infrastructure I wan't to try and address the notion that Livingston was built for 'mass car' use. Livingston was designed as the business and shopping centre for all of West Lothian. As well as being the regional capital it also had aspirations further afield. 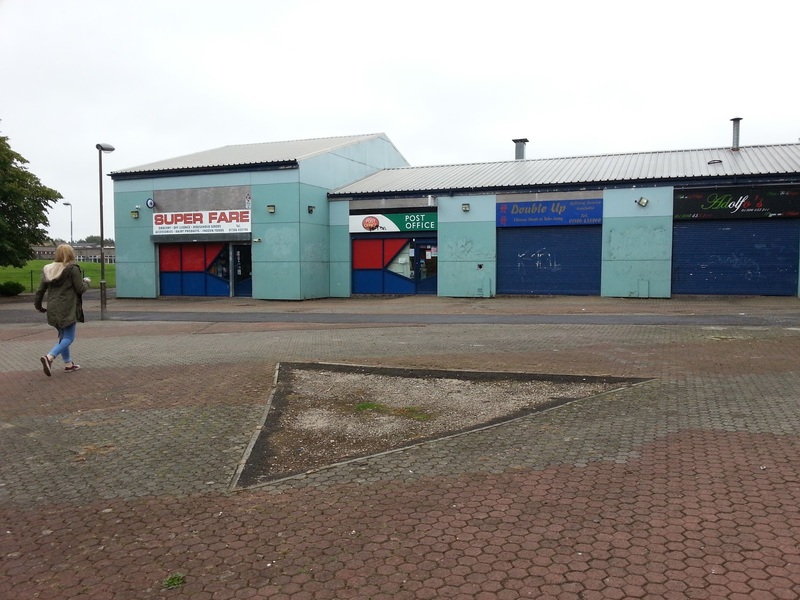 For the most part it has been massively successful in those goals, people come from all over Scotland to visit the shopping centre, and until the recent financial collapse Livingston had amongst the lowest unemployment rates in the country. 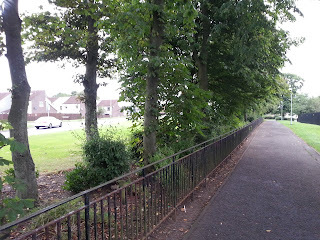 So from the outside looking in, I can understand why Livingston may look like it is a car centric town. Easy transport links, dual carriageway is town's 'spine', everything connected by road, car town right? To allow outside access, dead right, that's where the money comes from! Now lets examine Livingston as a place to live. Lets see how car centric it really is from the inside. Lets look at housing first, this is the street I was brought up on. It looks very much the same now as it did in the 70s, and is pretty representative of most of the original housing built in Livingston. There are very few cars in the car park, large areas of Livingston still have low car ownership rates. There are only parking spaces to accommodate around 60-70% of the houses. Livingston wasn't designed for mass car ownership. The car park is at the bottom of the street, cars are generally kept away from housing. 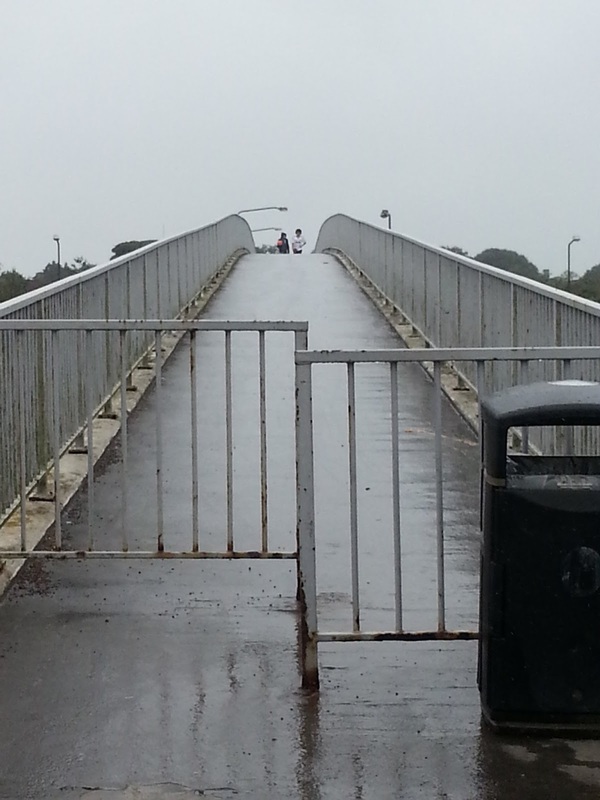 The path network is hidden, what you see is only access to parking, not the main path network. 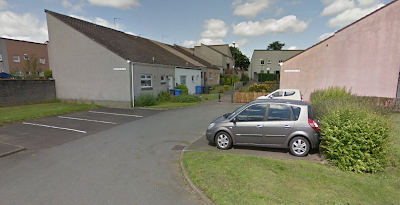 There are no rat runs, every residential street in Livingston ends in a dead end for cars. What about local access, schools, local shops, everyone drives there right? 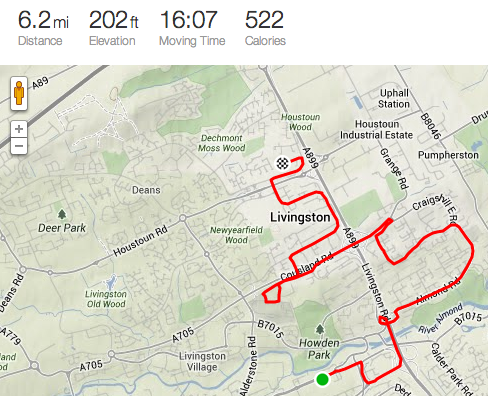 Actually, in Livingston it is far easier to walk than it is to drive, and most people do. Primary schools and local shops are at the centre of each estate, and typically less than 5 minutes walk from any house in the estate. And because of the 'dead end' residential streets you have to drive out of the estate, and then back into it to get to a school or shop, it takes longer to drive than it does to walk. Local shops, not a car in sight. Have a look at these images, even if you were to drive to the local primary school or shop, there is generally no parking outside. They weren't designed to be driven to, you would still have to walk a fair distance to get to the entrance, of course that is not to say that some people don't drive to them. The only vehicular access that was allowed at my old primary school was for a small teachers car park at the rear of the school. This entrance wasn't open to the general public. OK, I hope to have now debunked the notion (at least in a local sense) that Livingston was built for cars, it just wasn't. Now I want to move onto the guts of this blog post, what I really want to talk about. Livingston's extensive, off road, direct, and well connected 'core path network'. I don't want to fill you with any fantasy of Livingston as some wondrous place where there is no crime, or deprivation, or social ill's. To many people, Livingston looks grim (many of the images used in this post may even strengthen those opinions), I also sometimes think that when I go back too, forget about all of that though. Recently I went back to Livingston. I wanted to see if my memory served me correctly, was Livingston as well connected as I recall? How well maintained is the infrastructure? Would there be any issues? 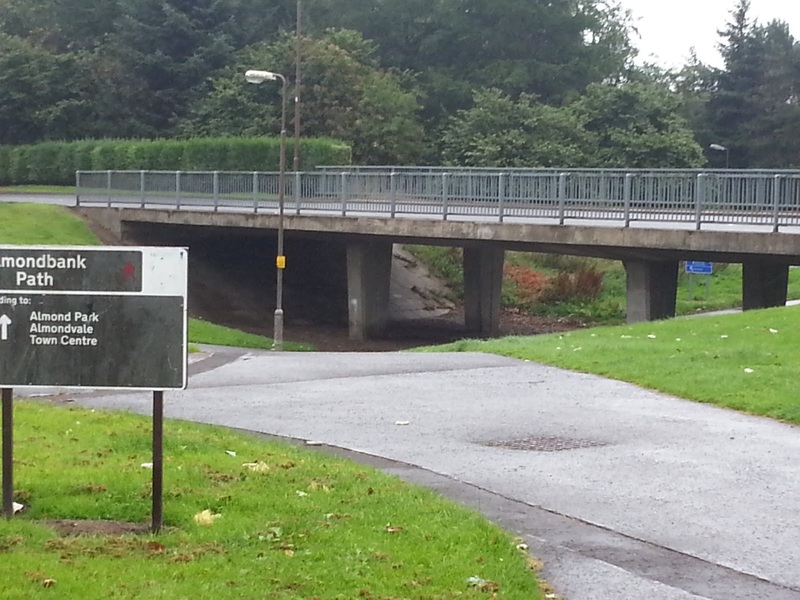 Why are cycling rates so low in Livingston given the infrastructure? I also wanted to run some comparisons, how does cycling compare to bus/car travel? I wanted to get a good idea of how well connected the infrastructure is, so my route wouldn't be direct. I would start at Livingston North railway station and cycle to the main shopping centre through most of the estates on the way, and also to some industrial areas to see if they were as well served by shared infrastructure too. Livingston North train station > Knightsridge > Houston Industrial Estate > Ladywell > Eilliburn > Livingston Village > Howden > Craigshill > Shopping Centre > Dedridge > Muiriston > Livingston South train station > Shopping Centre. Livingston isn't very big, ~ 3 miles by 3 miles, and it has a population of ~60,000. Livingston is the second largest populated area in the Lothians after Edinburgh. No where in Scotland outside of the major cities is very big (even they aren't very big!). The cycle it's self was pretty predictable (to me), I knew that I would be able to traverse Livingston East to West, and North to South almost without having to cross a main road. In fact I cycled 11.3 miles and only had to cross a main road 3 times, and only 1 of those crossings was unaided (without a Toucan crossing). 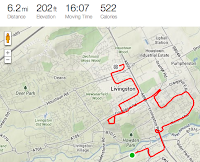 In fact I could almost have taken any route, to anywhere in Livingston, and been able to do it 99.9% off of main roads, and 99% off of ANY road. This is achieved by a network of bridges, and underpasses which ensure that pedestrians and cyclists never have to come into contact with traffic. 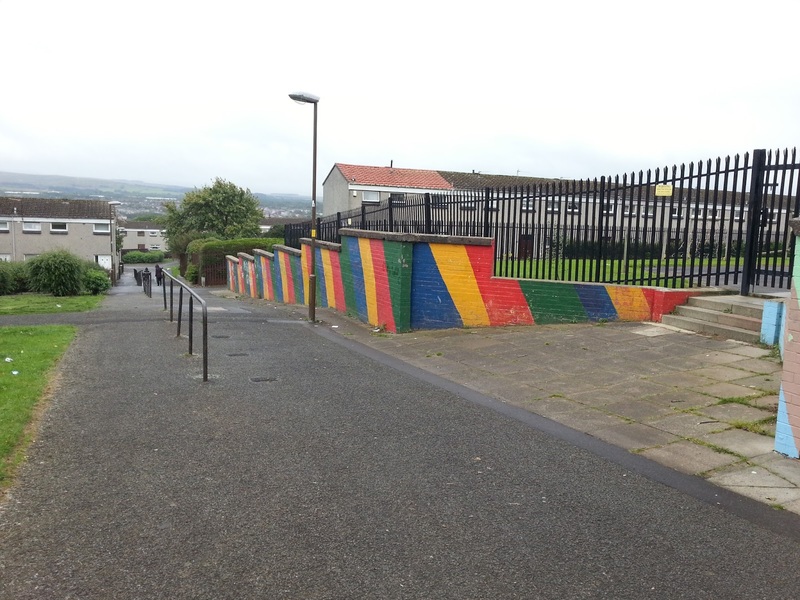 This was something that was deliberately designed into Livingston when the town was first built almost 50 years ago. What is more important for normal cycle journeys is that the shared use infrastructure is more direct than the equivalent road journey. Livingston is essentially a grid of shared use infrastructure. There are at least three main paths which run North to South, and even I don't know how many run East to West (at least 6 extrapolating my route above). 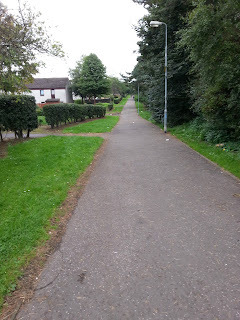 Every housing estate has at least one main 'core path' connection to work, and shopping areas, and these paths are always well away from main roads.. In fact it is easily possible to cycle anywhere in Livingston in under 15 minutes without having to engage with any traffic. One thing that did genuinely surprise me about the trip was the lack of broken glass, maybe I just got lucky and the Council had been out recently clearing up. 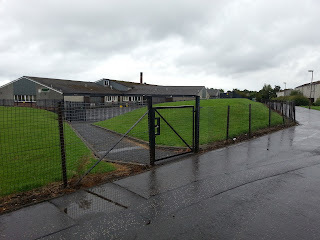 But I cycled through some of the roughest areas in Livingston and the only broken glass that I spotted was in Houston Industrial Estate near to Craigswood. Another positive surprise was the amount of signage there was, at pretty much every major path junction there is signage. On some of the more minor junctions however there was no signage. In the areas I didn't know I took the view that if I stayed on the 'wider' path I would probably be alright, gladly this turned out to be the case. Typical shared path away from traffic. 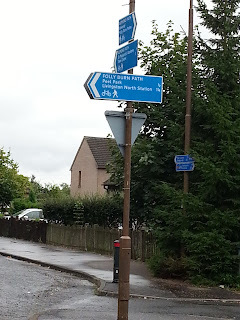 As part of this project I wanted to explore why more people don't cycle in Livingston, it seems the perfect place to do so right? Small town, great infrastructure, no need to mix with traffic, yes? This isn't a a 'full' comparison as I drove the bus route, so it doesn't take into consideration walking to, and waiting at the bus stop for a bus. The journey by 'bus' was 6.2 miles, and took just over 16 minutes. Looking at the First Bus website, this journey on the 28 bus would take about 30 minutes. 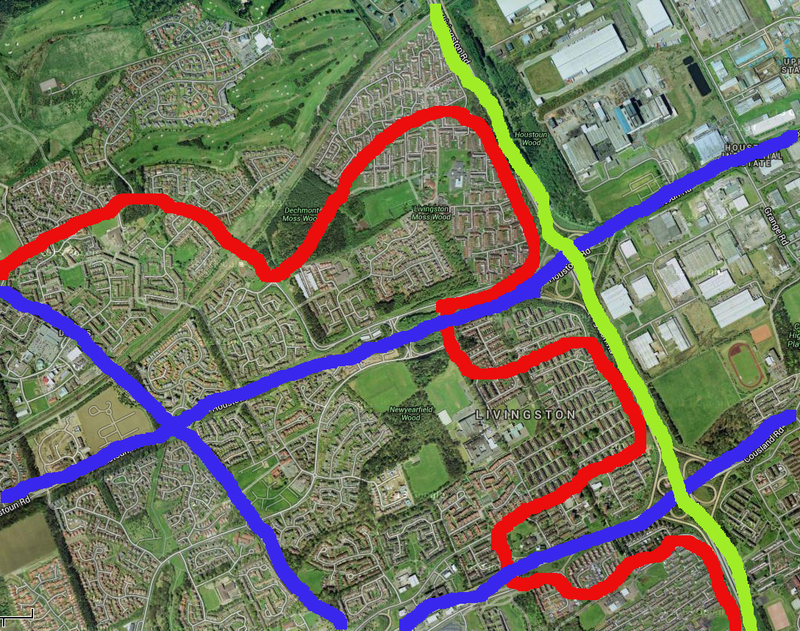 I think this is a representative comparison as it is the route that I always took when driving to the Centre. In the interests of fairness though there is an alternative more direct route down the dual carriage way which would probably shave 2 minutes off of this journey time. This route however is 2.9 miles long, and took just over 10 minutes when you include stops for traffic etc. I wonder how the bike will compare? Finally, how will the bike compare to car and bus journeys? Again I feel this is a pretty representative comparison as it is a journey that I made many times. I also wanted to make sure this comparison was as 'real' as possible to show that 'non' sport cyclists could also make this journey easily, so I made sure that I did't go above 15mph unless freewheeling on a downhill section. My average speed over the 1.7 miles was 12.5mph, and the journey took 8 minutes and 21 seconds. It is worth noting however that the return journey would be predominately uphill, so would take a little longer. I still think that the bike would be close to the car time, even with the uphill for the first part of the return journey. On the whole I found the cycle to be a positive experience. As mentioned previously I did come across some broken glass which of course can lead to punctures. Shared infra accesses shops at various points. 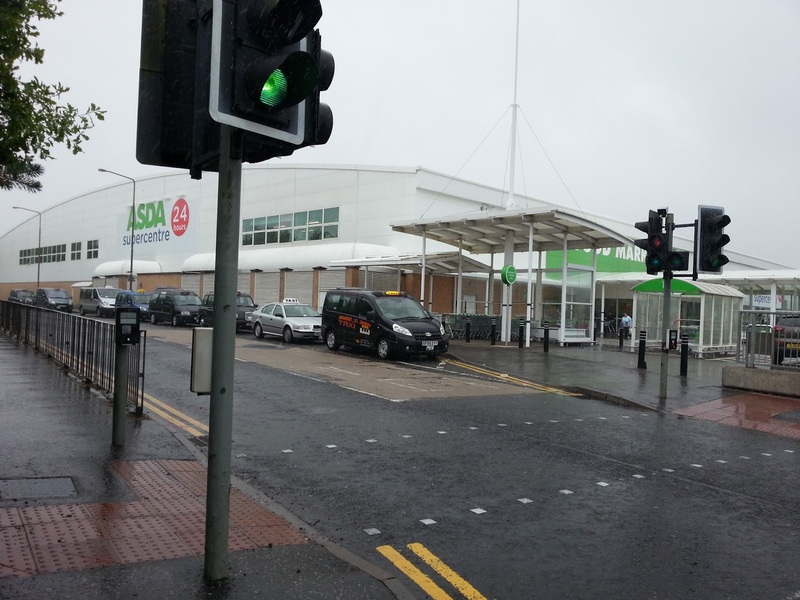 Despite being easy to get to the main shopping centre from almost any direction, navigating round it is less easy. I had to cycle into Dedridge, and back to the centre to navigate to a different part of the centre. Of course with local knowledge this is easy, and not much of a diversion (<100m), but if you don't know where you are going this would mean cycling on a short stretch of busy road. Another issue that I experienced, probably more due to the timing of my visit was gangs of school kids walking home from school. Of course it is good that they are walking, rather than getting the bus or being picked up, but I do understand how people can feel intimidated by gangs of kids. Most of them were courteous and did move to allow me past when I pinged my bell. Some groups on seeing 'a guy' on a bike coming toward them did the 'puffy out chest I'm hard thing' and refused to move until I got a bIt closer, they then retracted their chests and shuffled embarrassed to the side of the path upon realising it was an 'old' man not worthy of trophy. There are then the 'perceived' issues which people who don't live there 'think' is an issue. 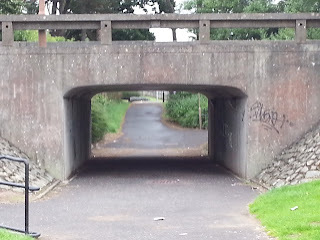 One of the issues I believe is a 'perceived' issue is the underpass, which Livingston of course has many. 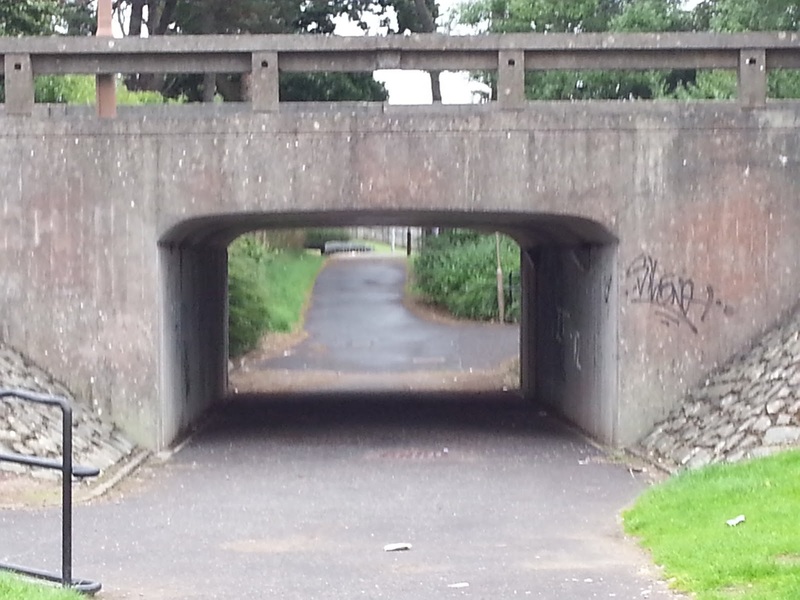 I've read many an 'academic' piece by transport planners and cycle advocates which state that underpasses are bad things which make people feel unsafe. The reality is that if you live with them all your life and use them day in day out to get to the bus stop, shops, friends house, whatever, they feel no more unsafe than walking or cycling anywhere else. Of course despite the logic above, even I suffer from 'perceived' fear and I know better! 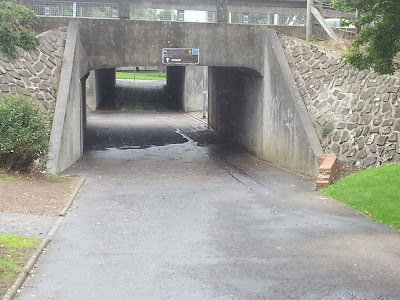 Below is the double underpass which connects Howden with Craigshill (affectionately known as Crazy Hill...) , I cycled through that underpass on my trip, I'm not sure I would have at night? Despite all of these underpasses, council estates, and gangs of kids apparently reeking havoc, crime is relatively low in Livingston, especially when compared with cities like Edinburgh. 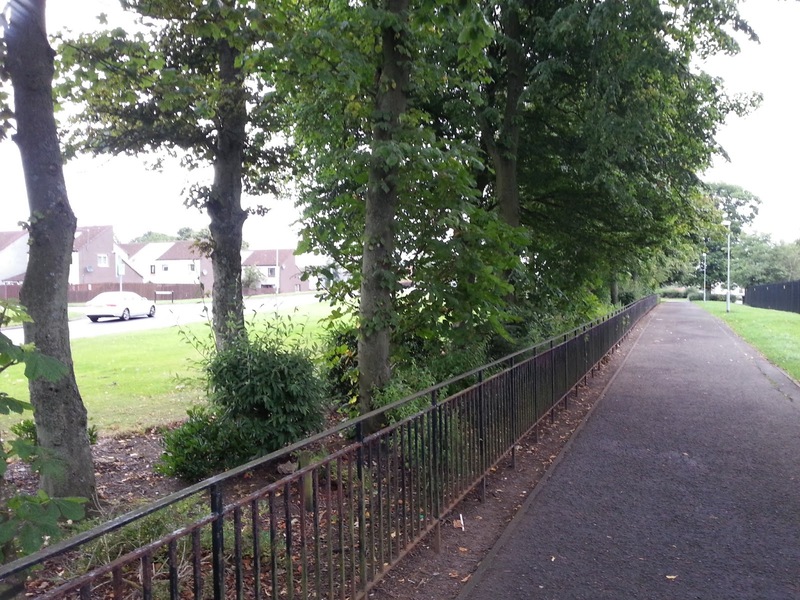 Another of the 'perceived' risks is the very fact that the paths are well away from the road network. Despite being safe from traffic, some people do feel vulnerable at night using the paths, being seen by cars is apparently good? 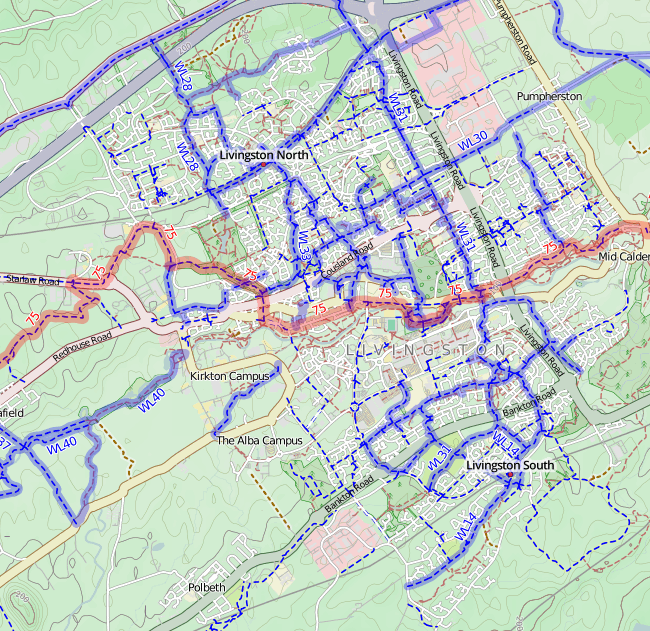 Good quality, well maintained, wide shared use 'core path network'. Never more than 100m away from 'core' shared infrastructure, well connected. Cycle routes are shorter, more direct, and faster than car and bus routes. 99.9% of any cycle journey can be undertaken without any need to interact with traffic. Housing, local shops, and schools all set away from cars. So, why the low cycling uptake? There are probably a number of reasons, car use undoubtably is one of the major reasons despite Livingston being well designed for pedestrians and cyclists. I still wonder though, going back to my experience of the 70s when car ownership was so low. People in Livingston still didn't cycle, even when cars weren't a factor they didn't cycle? Why? To answer that question I guess, and it is only a guess, that despite Livingston being the second biggest population centre in the Lothians it is small, very small. Despite the infrastructure being shared, the town is designed more for walking, it lends it's self to that, and certainly at a local level people do walk a lot. Remember the 'local community' feel that was designed in, shops, schools, pubs, churches, all within a 10 minute walk from any house in any estate, and all of those amenities with no allocated parking. I also wonder if with a concerted campaign to target places like Livingston which has the infrastructure built in, that more people would take up cycling? Perhaps they would, or perhaps not, perhaps in this country we just don't cycle, and if ever there is a place which suggests that, unfortunately it is Livingston (even when there are no cars)? "I want to try and get across the idea that in an infrastructure sense, from a walking, or cycling perspective Livingston should be held up as a 'Model' town, and when we build new places, we should look to Livingston for inspiration, I honestly do think that the new town planners of that time were right on the money...."
Despite the gloomy conclusions, and the low cycling rates I still stand by that statement, I never really believed the 'advocates' mantra of "build it and they will come", we did, and they didn't. But instead I say 'Even if it is never used, I say build it. Build it like Livingston!'. And for those that say "we need to start building infrastructure for cyclists now", instead I ask 'Why did we stop building it, when we started almost 50 years ago?'. At least if we do that, people can cycle and walk, safely, if they choose to do so. And if everywhere had the luxury of the inbuilt 'core path' infrastructure that Livingston does, maybe more people would cycle, what would be certain is that the people that are cycling now, wouldn't be getting mowed down by cars on an almost monthly basis! Everywhere should be as well connected as this! I think size is the single biggest reason for comparatively low uptake of cycling in Livingston. You explain the town is 3 miles x 3 miles and 3 miles is really not very far to walk. Having cycled in Livingston on Friday and Saturday with the children, there may be another barrier - the roads! If your route takes you beyond the path network, then the roads are rather hostile. However our route may have been unusual - Union Canal, cross Livingston, towards Stoneyburn, which took us through the roundabouts of Almondvale. Even with the roundabout being clear, by the time you'd entered it, there was a motorist on a collision course for us, and not prepared to give way to the cyclists ahead... The driver had obviously seen a gap and accelerated on to the roundabout, not expecting slow traffic to be have joined from a road ahead of them. Assuming that this is representative (a big assumption), then cycling would be restricted to the immediate town by the stranglehold of the surrounding high volume roads (also suggested by your initial road maps). We saw children cycling within the path network, but no adults - perhaps cycling is seen as a toy for children, whereas adults can easily walk the town, and take to the car for further distances. Children are usually restricted (UK-wide) to a small (and shrinking) area around the home, so the 3x3 mile paths are ideally suited to them, and even if their parents would permit wider roaming, the roads mitigate against this. For next time, the paths next to that (roundabout) road are shared use, but you would still have to navigate the roundabouts as a pedestrian would (think there's a crossing at the Morrisons roundabout). I think you maybe highlight one of the downfalls of the paths being hidden from traffic. If you don't have local knowledge they are easy to miss. Although the paths are well signposted once you are on them, there is no signage TO them. You are right in that once you get out of Livingston the paths are sparse. To the North Bathgate and Broxburn are connected, but to the South not so good, only as far as W calder. Assuming you have entered Livingston on Route 75 (that's how I would from canal? 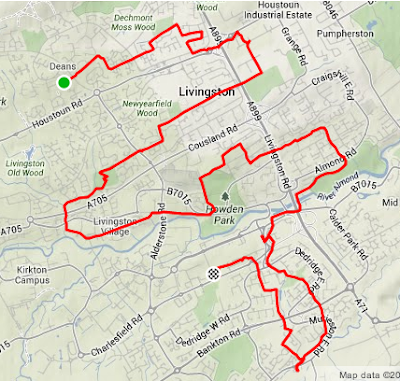 Now going to assume you know Livingston a bit..), you could take the route I do above into Deadridge, you can then cycle on the Waverly path (I think it is) to Polbeth, there is then a pathway to W Calder from Polbeth. After that you would then be off road. Even if you didn't go as far as Polbeth, I would imagine (never cycled it though) that the Waverly path would connect with the industrial estate before the 5 sisters road.